Review by Cato on 8/24/2018. Another beautiful map from Lionheart. A good map for team games. The cave complex makes for some interesting play. I also love how the territories are the scientific names of different plants and animals. Great work! Review by Table'SAlt on 8/27/2018. I would recommend lowering the bonus values on these by 1 more to balance it. Review by Save_The_Marsh on 9/3/2018. 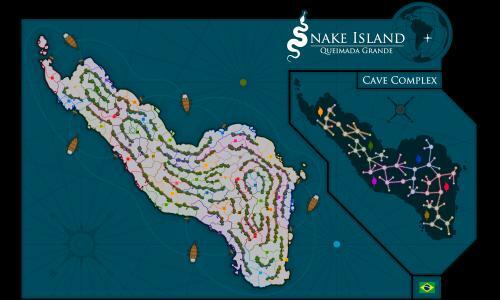 Very meticulously thought out, love the cave system! Review by Stig on 8/24/2018. Review by Serperior on 8/26/2018. The map is really fun, and good for strat games in 2v2 or 3v3 (Due to its size 3v3 might be a little better for this map, but both team modes work well). The cave region may be a little confusing for new players to get the hang of, but that simply sets it apart from other maps, adding a new strategic element to the gameplay. Review by warhawk on 9/4/2018. Review by A_B3 on 9/13/2018. A very challenging map. The 3-D element of the caves makes this a 5-star plus.